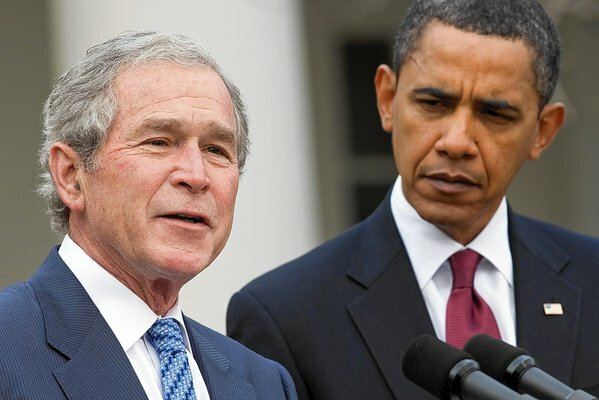 The precise intelligence and specific policy calculations that impelled the Bush administration’s decision to make war on Iraq will probably remain unascertainable for decades. From what we know now, however, it’s clear that the administration massaged the truth, to put it charitably, concerning Saddam Hussein’s links to Al Qaeda and the imminence of the threat posed by Iraqi weapons of mass destruction — the administration’s two most important publicly stated rationales for war. But does this imply that the administration didn’t go to war in defense of what it believed to be — and what perhaps were — the vital security interests of the United States? No, it merely suggests that the public arguments for war weren’t the most important reasons the Bush administration chose war. That Hussein’s chemical, biological or (most improbably) nuclear weapons programs posed an immediate danger now seems dubious. But whether a continued inspections regime, smart sanctions and the vigilance of the international community could have ensured against Iraq attaining those threatening capabilities in, say, seven years is an entirely different question, and one that surely plagued Bush administration members charged with protecting and advancing U.S. security interests. And that issue is quite apart from the diplomatic and geopolitical advantages that the administration perceived a friendly, or at least not unfriendly, Iraq would afford the United States. The decision to go to war may have been foolish and even dangerous; if the war and its aftermath hinder, rather than bolster, the war against Al Qaeda, it was both. It may, on the other hand, have been wise. The eventual perception of the war’s results will alone determine how the administration’s duplicity will be judged. Democrats especially should take heed. They should remember that two of their party’s most revered leaders deceived Congress and the public concerning matters of national defense, for what those leaders believed to be the most patriotic reasons. Franklin Roosevelt, while professing the neutrality that the overwhelming number of Americans desired, attempted surreptitiously to maneuver the country into war (the U.S. was in combat against Germany in the North Atlantic — including helping the British navy in its hunt for the German cruiser the Prinz Eugen — long before Pearl Harbor). Most Democrats and other Americans now readily forgive FDR’s and Truman’s mendacity (which was almost certainly on a scale grander than anything for which the Bush administration might be guilty) because history has judged (rightly or not) that those administrations understood the threats confronting the U.S. better than did the country at large. Then again, another Democratic administration, that of Lyndon Johnson (made up largely of John Kennedy’s men), fearing the international ramifications for the U.S. of a communist takeover in South Vietnam, conjured a North Vietnamese naval attack in the Gulf of Tonkin to gain congressional and public support for an escalation of the U.S. war in Indochina. That history castigates LBJ and Richard Nixon for their deceitfulness concerning war in Indochina is largely a reflection of the country’s opinion not of the dishonesty itself but of the wisdom of that war and the price it exacted. By contrast, history disregards the less-than-forthright rationales for military action avowed by Ronald Reagan (Grenada), George H.W. Bush (Panama) and Bill Clinton (Kosovo) because, unlike the Vietnam War and the present intervention in Iraq, those were cheap in blood and money and were over quickly. In short, fair or not, and partisan posturing aside, in war lying doesn’t matter in the end. All that ultimately matters is getting the threat right and winning the war at a reasonable cost. For now, the case can be made either way. Maybe the Bush administration measured the future menace that Iraq posed and judged, correctly, that under its watch was the best time to forestall that threat. Or maybe, by toppling a regime that could have been contained, the administration created a dangerous mess in the region, squandered a good deal of international goodwill and strengthened the very forces it must destroy in the ongoing war on terrorism. But whether the administration got it right or wrong, there is every reason to assume that it evaded, distorted and exaggerated for the most honorable reasons — like FDR. And Nixon.